Summer is the time for all things bright and beautiful! These vivid bouquets with their gorgeous mix of colourful blooms are sure to bring a smile. 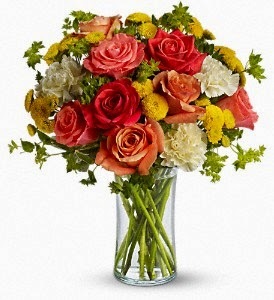 With dark orange, coral, and pale orange roses, our Citrus Kissed bouquet will brighten anyone's day. 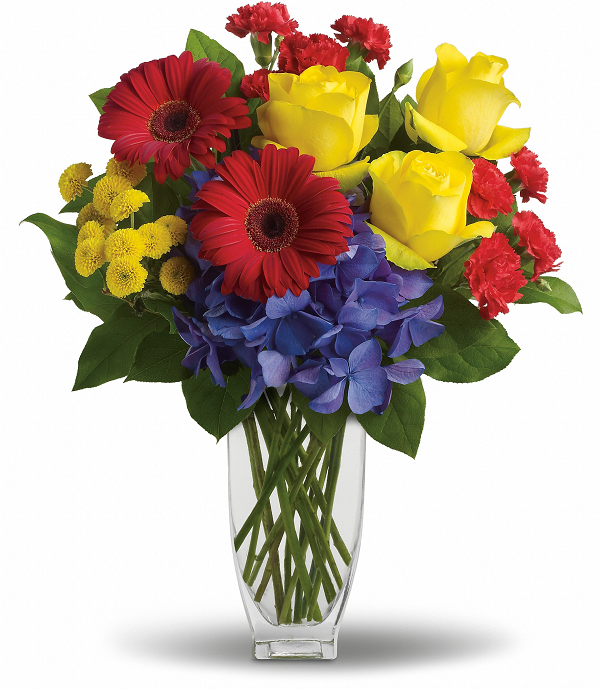 Here's to You features cheerful yellow roses, rich red gerberas, mini carnations and button spray chrysanthemums-- a guaranteed pleasure for any occasion. For another artful combination of colour and texture, try a gorgeous Pink & Lilac Extravaganza. 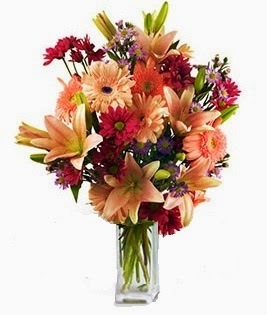 This stunning array of blooms includes pink gerberas and lilies expertly mixed with purple asters and daisies. Send a little sunshine to your someone special today!